Riggs Charges Panel to Draft Statement on Freedom of Expression | The Gettysburgian. Five months after suggesting that Gettysburg College needed an “affirmative statement related to freedom of expression” in an email to the campus community, President Janet Morgan Riggs has appointed a committee of seven to develop such a statement. The committee, chaired by Associate Provost for Faculty Development & Dean of Social Sciences and Interdisciplinary Programs Jennifer Bloomquist, met last week with the faculty as well as the Board of Trustees to begin gathering input from stakeholders on what should be included in such a statement, which Bloomquist emphasizes will be an institutional philosophy, not policy. Throughout the remainder of the month, the committee will gather input from student groups, including Student Senate, with the goal of releasing a draft statement for campus review by the end of the semester. Ultimately, the Board of Trustees and faculty will vote to ratify the statement, which Riggs hopes will happen early in the spring semester. This process comes after the Young Americans for Freedom invited Robert Spencer, Director of Jihad Watch and a FOX News contributor, to speak on the “political ramifications of Islamic fundamentalism” last May, which generated a torrent of discussion over what limits the college can and should impose on freedom of expression. 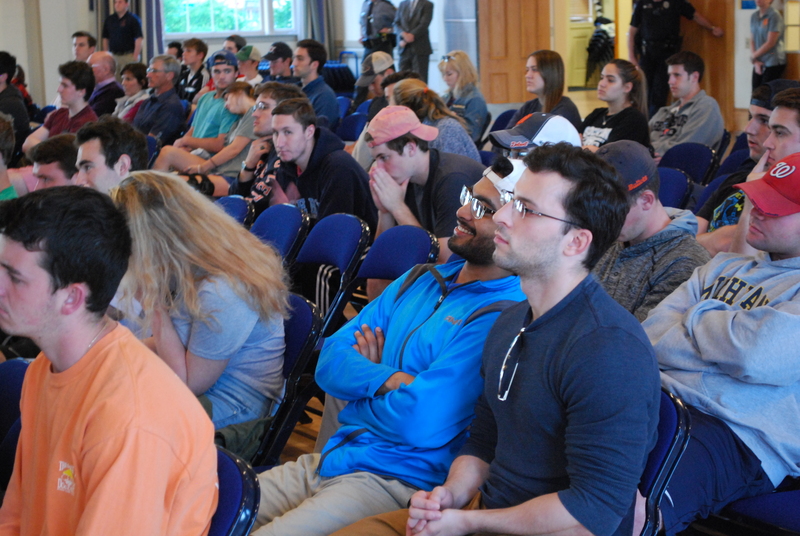 The college hosted a counter-speaker, Todd Green, an associate professor of religion at Luther College, and students held a solidarity rally concurrently with Spencer’s lecture. In August, Riggs defended the college’s treatment of the situation in an interview on The Gettysburgian‘s podcast, “On Target,” noting that the college followed guidelines for handling controversial speakers released subsequently by the Southern Poverty Law Center. Michael Mancuso ’19, Chair of the Student Senate Opinions Committee, objects to the composition of the committee, asserting that students are not appropriately represented since McKenna was not appointed through Senate. Also, he is concerned that, because the committee met first with faculty and the Board of Trustees, student consultation is a formality. McKenna declined to comment for this article. Mancuso said he plans to introduce a formal opinion questioning the process in place that he hopes will be on the agenda at Monday’s Senate meeting. Bloomquist said that the sequence of consultation reflects only time constraints beyond her committee’s control and that the committee is eager to hear student input. She said campus community members can submit input through this web form. Zachary Sobeck ’20, Co-President of College Republicans, hopes the committee does not deviate too far from the status quo, noting that Riggs has indicated that the college would handle future controversial speakers similarly to how they approached the Spencer situation. Andrew Dalton ’19, Vice President of College Democrats, declined to comment for this article. Although the primary purpose of the committee is not to develop new college policy, policies will be revisited after the statement is adopted. The current policy governing freedom of expression, which was approved by the Student Life Committee in April 2016, quotes a passage from former Supreme Court Justice Louis Brandeis’ opinion in Whitney v. California (1927) that states, “If there be time to expose through discussion the falsehood and fallacies, to avert the evil by the processes of education, the remedy to be applied is more speech, not enforced silence,” and provides limits on the time, manner and place of public expressions of opinion, but it does not offer such concrete limits on the content of speech.